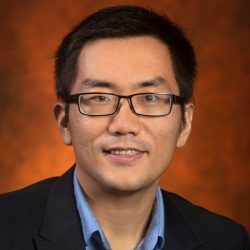 Zhe He is an assistant professor for the School of Information where he conducts in-house research and teaches undergraduate and graduate level courses. His students get the opportunity to apply data mining tools and data mining to real-life situations. He works diligently to bring his medical research to underrepresented populations which is what makes Zhe He Faculty of the Future.